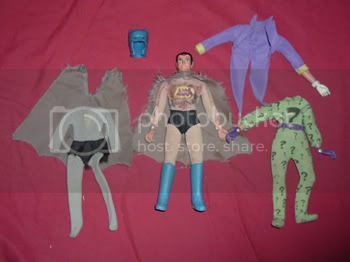 Mego Batman Was the Greatest! 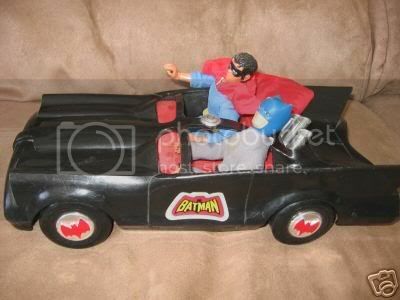 Probably the best selling Mego Superhero group was Batman! I know that ALL of my friends had Batman, Robin, and at least one of their arch enemies. Those bad guys were pretty cool too. There was the Penguin, the Joker, and The Riddler. They also had a very funny looking Catwomen and Batgirl, but I didn't know anyone who owned them. Batman and Robin went through several changes over the years. 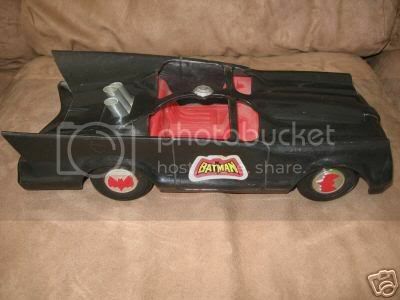 We had the original Batman with the removable cowl. That was great because we would actually change him to/from Bruce Wayne by using Action Jackson clothes. Maybe that is why our Batman fell apart over the years. We got another one later that had the cowl painted on. I think Robin had a removable mask as well in the beginning. I posted a picture of our Penguin in the Last post about Mego Superheroes. I love the fact that Robin is wearing a Superman costume and that Batman has lost his chest decal. That is the way most Mego Dolls ended up, isn't it? As for the Bat Cave, I remember it to be lots of fun. 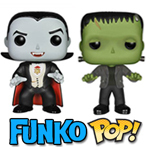 When I look at it on internet sites like Mego Museum, it sure doesn't look as good as I remember. 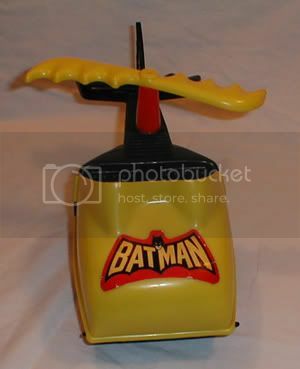 We also never had the BatCycle. Probably because we thought of that as belonging to Batgirl. I finally figured out how to embed a youtube video, so I want to close this post with a Mego Batman commercial that shows all of what I have been writing about here. Now, does that bring back memories or what? I hope you've enjoyed remembering Mego Batman with me.